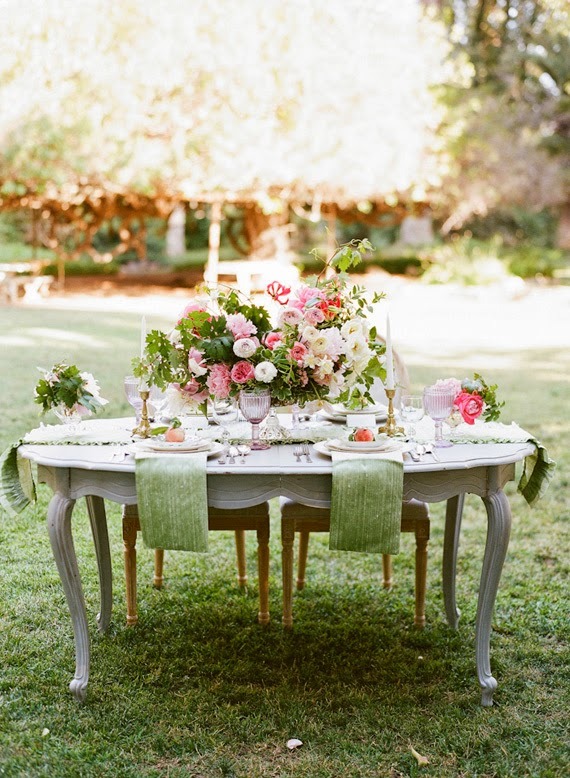 A garden wedding is one of the most naturally beautiful weddings a bride can plan. 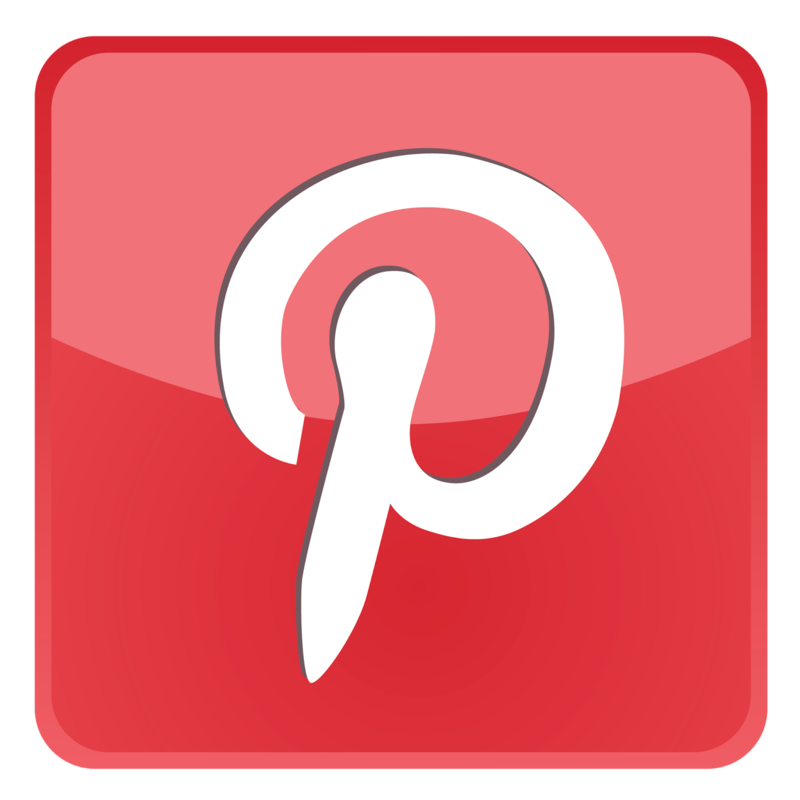 It is incredible versatile and can be a casual khaki and sport coat wedding to a black tie event. 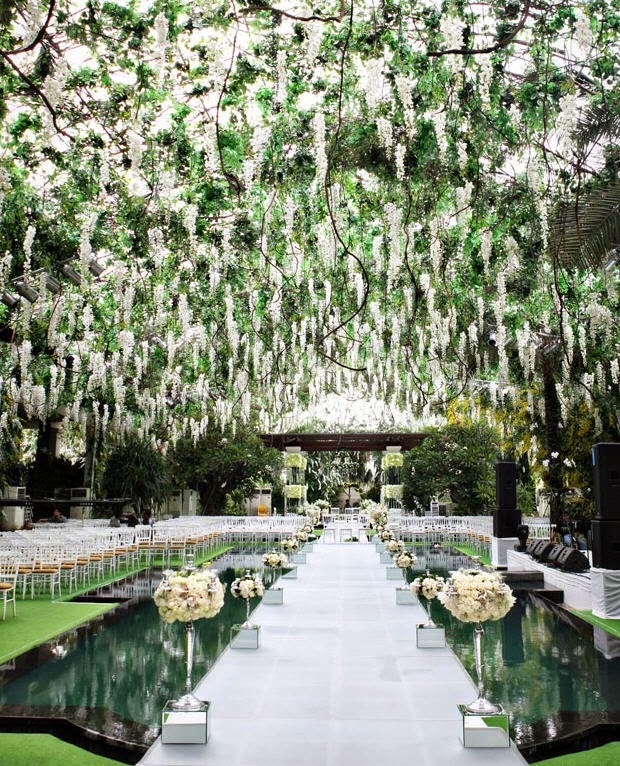 With a garden wedding, there is actually less decorating to do with all the gorgeous nature all ready surrounding you. For most climates, a garden wedding is a late spring or summertime affair, but even early fall with the changing foliage and the warm days are good for an outside wedding. 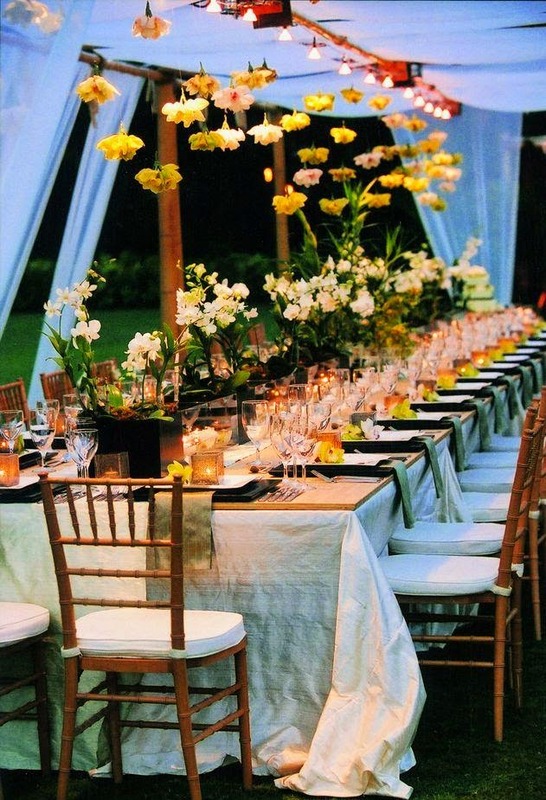 If you are lucky, your parents have a stunning backyard where this wedding can be held, but if you don't have a garden in the family, there are public and private gardens that host weddings. 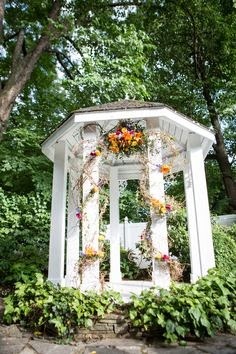 If you don't have a gazebo already stationed in your garden, one can be rented and make for a picturesque ceremony site decorated with flowers and light fabric. A tent is another good rental investment. Depending on where you live, Mother Nature isn't always reliable for good weather, so it is best to have a plan if you live in an area where rainfall is frequent. 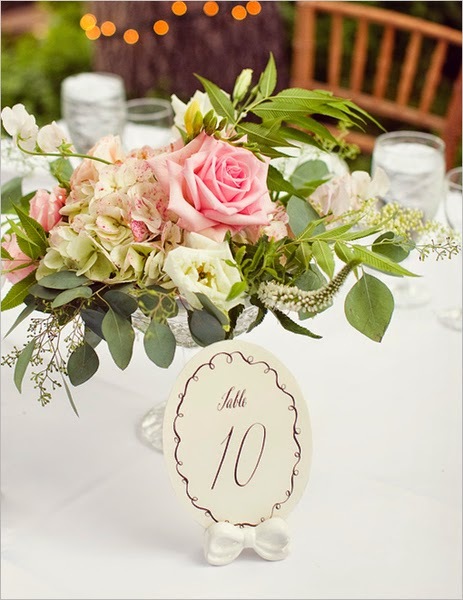 You probably won't need too much in the way of flowers for your ceremony, but for table at the reception, if the garden is your own, pick some flowers from it to create your centerpieces. 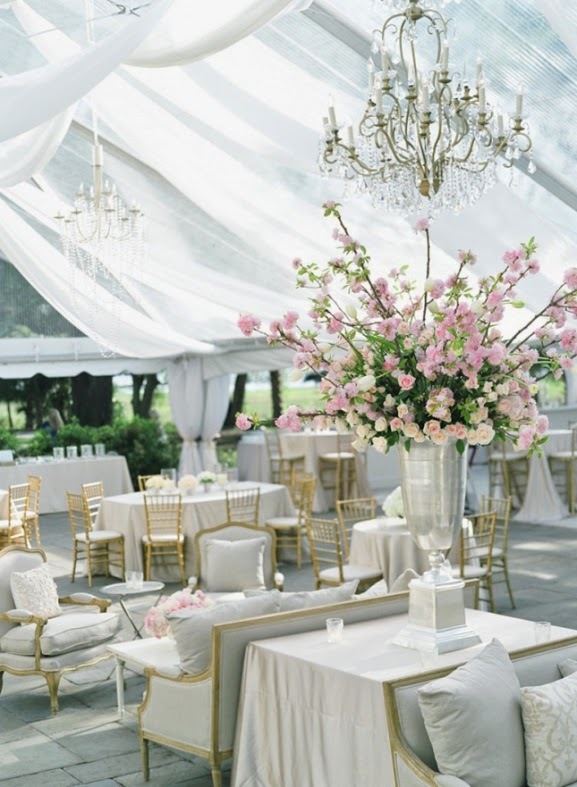 If you feel there are enough flowers all around, have some hurricane lamps with pillar candles for centerpieces. The lamp will keep the flame from going out if there is a breeze. As the reception wears on, the sun will go down. Chinese lanterns are a decorative and affordable way to light your space. 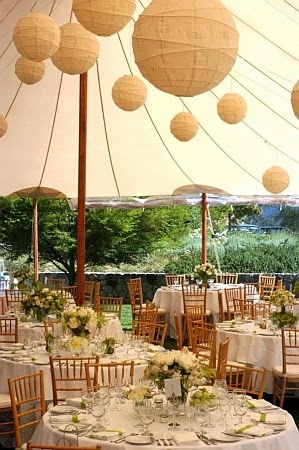 If you have chosen to have an outdoor reception in the fall, look into renting some outdoor heaters. 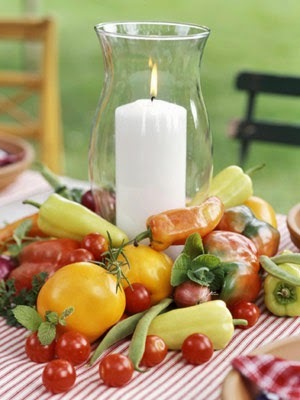 For a summer wedding, have some baskets of bug repellent towels for your guests. Both of these details will keep you and your guests comfortable. The only real worry you have to have for a garden wedding is the weather, so make sure you have some back up arrangements!